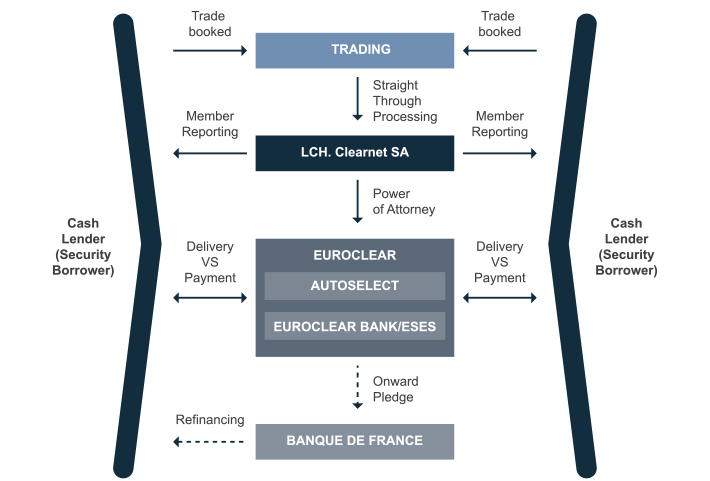 MTS Repo, our leading electronic European repo platform, supports trading of €GC Plus, a tri-party repo product initially developed by Banque de France in collaboration with LCHClearnet and Euroclear. Trading €GC Plus gives you access to secured euro cash funding with standardised baskets of collateral, and the confidence of trading through LCHClearnet, the largest clearing house for fixed income and repo in Europe, and Euroclear, the largest collateral house in Europe. The MTS Repo platform is a professional e-trading venue for real-time eurozone repo trading, pricing and liquidity, uniting market participants across Europe. The depth of counterparties and range of instruments combined with pricing transparency has made it a benchmark electronic trading platform for the European repo market.